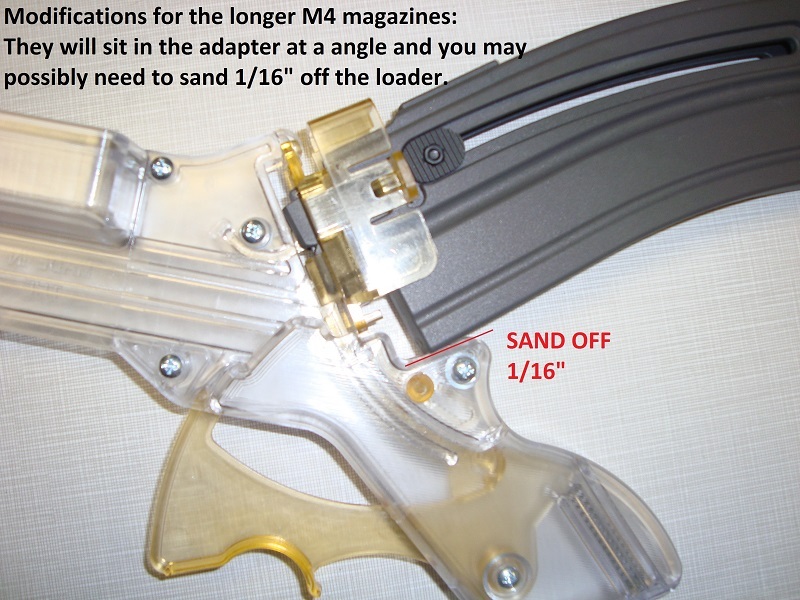 Adapter INSTRUCTIONS for COLT M4 BERETTA ARX160 Magazines. Hold the loader in your left hand, and press the adapter lock with your thumb. With your right hand, hook the Mag Adaptr into the top of the Lightnin' Grip Loader and swing the bottom into the slot. Take your thumb off of the lock button. it should pop out to the locked position when the adapter is in fully seated. Magazine inserts at an angle into the adapter. Latch is tight. Need to push latch in with thumb.